New York rapper Tekashi 6ix9ine is a way bigger influence than haters think. The hip-hop newcomer has shared a grip of shots showing people dressing up like him for Halloween. On Wednesday, Tek flooded his Instagram page with a stream of 6ix9ine-inspired Devil’s Night pics including one of reality TV star Kim Kardashian. The post Look: Tekashi 6ix9ine Convinced Kim Kardashian Dressed Like Him For Halloween appeared first on SOHH.com. Three 6 Mafia‘s Juicy J is giving JAY-Z all the blame. The hip-hop veteran has credited Young Hov for fueling his obsession with building an insane jewelry collection. In a new GQ video, JJ shows off everything from his watches to a spooky Hypnotize Minds pendant. The post Watch: Juicy J Shows Off His Insane Jewelry Stash & Credits JAY-Z For Inspiring Him appeared first on SOHH.com. New York rapper Fabolous is getting into the holiday spirit. The hip-hop veteran has channeled his inner Coming To America for Halloween. Fab went to Instagram Wednesday (October 31) to show off his attire as Eddie Murphy‘s unforgettable Prince Akeem. The post Fabolous Dresses Up As Classic Eddie Murphy Movie Character For Halloween: “Started From The Mop Now We Cashier!” appeared first on SOHH.com. Looks like Facebook is finally getting with the program and letting hate groups know that its platform is no place for racist rhetoric and behavior. The company took a bold step and is banning accounts associated with the far-right extremist group the Proud Boys. The group founded by Vice founder Gavin McInnes is no longer welcomed on either Facebook and Instagram the social media giant confirmed to TechCrunch. The decision came down when The Proud Boys were linked to a violent incident that took place in New York earlier in the month. Five members connected to the group were arrested after attacking protesters. That incident was enough for Facebook to now consider the Proud Boys a hate group making the decision to boot the group from its platforms an easy one. The group describes its members as “Western Chauvenists,” heavily relies on social media to get its message out and they were already banned from Twitter. This latest decision pretty much stymies the Proud Boys large electric dog whistle. We just hope Facebook continues to keep this energy going cause they have a lot to work to do with cleaning up the social media network. In the Spring of 2015, <em>Grand Theft Auto V</em> was released for Microsoft Windows. It was a couple of years after the video game had initially hit consoles. So, to hype the release, Rockstar introduced new in-game features and commissioned Alchemist and Oh No (who had already formed Gangrene at the time) to put together a compilation for a new radio station. The well-received project was titled <a href="https://open.spotify.com/album/4Nd1a0kQJF7IZl5queVCJ0?si=9zk7c-mkQ7uujTcWT6dRyA" target="_blank" rel="noopener"><em>Welcome To Los Santos</em></a>, but in the game, it is <em>The Lab channel</em>. One of the highlights on the album was <a href="https://www.youtube.com/watch?v=kGNHmNFUxfk" target="_blank" rel="noopener">“Fetti,”</a> the pairing of the Jet Life pilot and ESGN’s Freddie Gibbs. Al and Oh No provide a silky-smooth Funk track that brings the "Iceberg Slim" out of Spitta and Gibbs. As good as the track was, fans did not think a full project was a possibility. However, when Spitta, Gangsta Gibbs, and Alan The Chemist all started hyping a <a href="https://open.spotify.com/album/3JgtFZroTUGoklTtb2xOne?si=wNz5IHPeQ1yBcnbLqkizYQ" target="_blank" rel="noopener"><em>Fetti</em></a> project on their socials, Heads were understandably excited. In one post, Andretti informed Gangsta Gibbs that he had laid all his verses and it was now on the Gary, Indiana to sew the album up. If it’s not clear, the album title is a portmanteau of these two MCs’ names, Freddie + Spitta Andretti = <em>Fetti</em>. To take the concept to the next level, the album artwork is all inspired by Fendi’s logo and trademark colors. Even from the titles of the nine songs that make up <em>Fetti</em>, you can tell this is player music. Example: "Now &amp; Later Gators." The duo sound like a parallel universe 8Ball &amp; MJG, or even <em>Aquemini</em> zodiac disciples. ALC cooks up an assortment of flavors for this twosome, but all the cuts gel well. In fact, there are no pauses between tracks, they all connect end-to-end. An ATM sound-effect is the segue between “Location Remote” and “The Blow,” while stormy weather bridges “Now &amp; Later Gators” and “No Window Tints.” This album was made to be listened to all the way through. Regardless, there are some standout joints like the booger sugar anthem “The Blow” and the dark Gibbs solo, “Willie Lloyd.” On the latter song Freddie serves up an intense, “no breaths” flow and it’s vicious. Spitta gets a track all to himself as well titled “No Window Tints,” and it should tide over those fiending for new Al x Andretti since 2016’s <a href="https://ambrosiaforheads.com/2016/02/curreny-alchemist-re-up-on-a-new-mixtape-featuring-action-bronson-styles-p/" target="_blank" rel="noopener"><em>The Carrollton Heist</em></a> LP and the “Fat Albert” Craft Single. Freddie Gibbs is presently featured on <a href="https://open.spotify.com/user/ambrosiaforheads/playlist/1Ssx21OFFRNJMMvlG2xeWV?si=mcvQmXJQRPWrG3AuLYDe3Q" target="_blank" rel="noopener">the official <em>Ambrosia For Heads</em> playlist</a>. Super Bowl LIII is slated to take place in Atlanta, Georgia, the first time since 2000, and the area’s hometown Hip-Hop icon Jermaine Dupri have become vocal on his alternative perspective on celebrities choosing to boycott the NFL. Recently coming off of a SoSoDef Reunion Tour, Dupri plainly demonstrates the momentum of his hustle mentality. To clear the air he let it be known that it’s totally cool NOT to do the Super Bowl in protest as well but makes it clear that further conversation does more good than ignoring it. The post Jermaine Dupri on Celebs Boycotting the NFL: ‘Boycotts and marches don’t seem like they work’ appeared first on The Source. 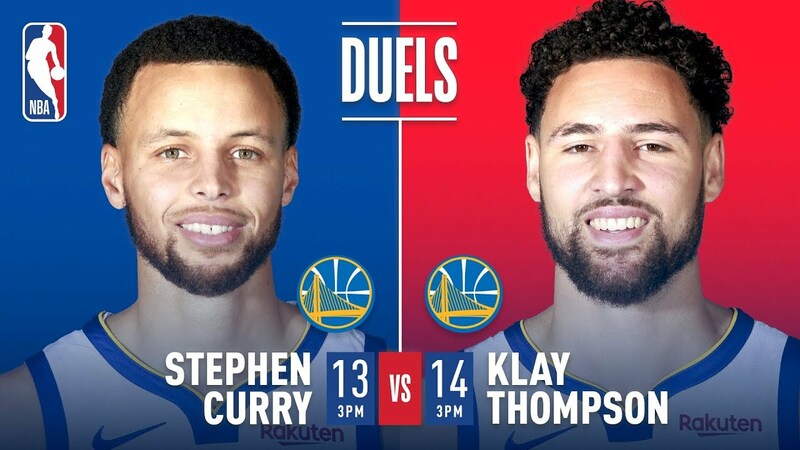 Check out these two historic performances as Stephen Curry goes for 13 threes in 2016 and Klay Thompson goes for 14 threes in 2018. The hardest working band in music, the legendary Roots crew will close out the year with a short tour of the East Coast. Along with creating material for their forthcoming and highly anticipated new album, and playing behind Jimmy Fallon on NBC’s The Tonight Show, the Roots will end the year where they are at their best, rocking the stage. On this “Holiday Tour,” the Grammy award-winning band will bring their incredible live show to a city near on the last six nights of the year. The touring schedule includes performances at the House of Blues in Boston on December 26, the Wellmont Theatre in Montclair, New Jersey on December 27. Then, the tour continues with shows in Silver Spring, Maryland on December 28 and at Miami Beach on December 30. Finally, The Roots bring in the New Year in on December 31st at the Coca-Cola Roxy in Atlanta. Tickets for the upcoming shows can be purchased at Live Nation. The post The Roots Announce Dates for 2018 Holiday Tour appeared first on The Source. The post Hip-Hop’s Hidden Horror: ‘Da Hip Hop Witch’ appeared first on The Source.